The tickets for 21-st Sofia Film Fest on sale from March 2! From tomorrow, March 2 – exactly one week before the 21-st Sofia Film Fest starts, you can buy tickets for the films over the ticket counters of the festival movie theatres. Presales start at the National Palace of Culture ticket counter, the Cinema House, Cinema City Mall of Sofia, Cine Grand Park Center Sofia, Cinema Arena Deluxe Bulgaria Mall, Euro Cinema and Cultural centre „G8”. The ticket sales at “Odeon” Cinema start on March 10. As always, tickets can be bought before the first screenings at “Lumiere” Cinema, the French Institute - “Slaveikov” Cinema, “Vlaikova” Cinema, DNA Artspace at the National Palace of Culture, Sofia University “St. Kliment Ohridski” Cultural Centre and Iskar House of Culture. Online tickets sales are available for National Palace of Culture – Hall 1, Cinema “Lumiere”, the Cinema House, “Odeon” Cinema, the French Insitute - “Slaveikov” Cinema and Sofia University “St. Kliment Ohridski” Cultural Centre. 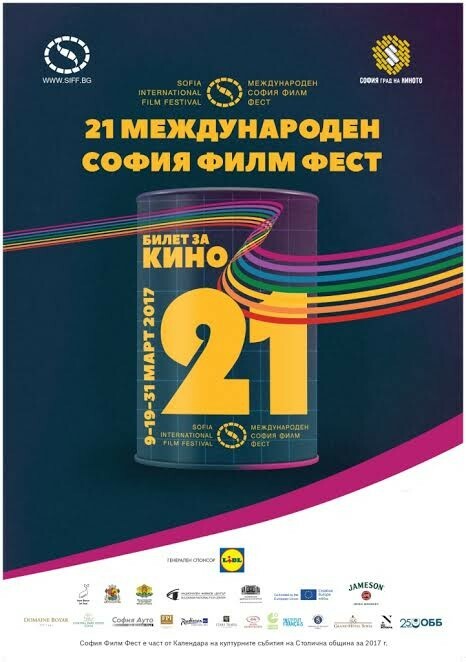 For second consecutive year Lidl Bulgaria is General sponsor of Sofia Film Fest and will support the festival through its sales network. 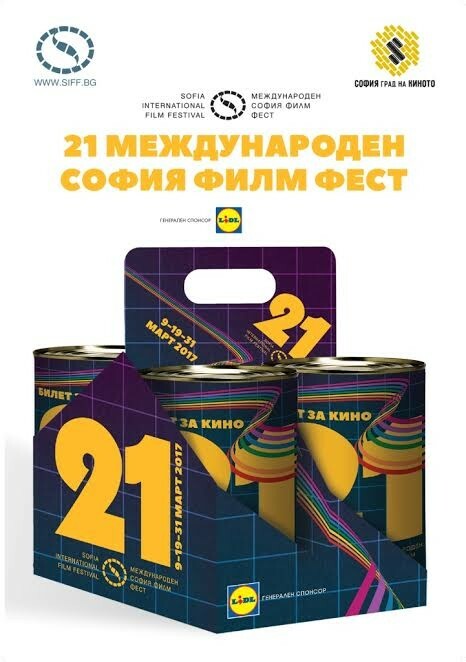 Only at the Lidle grocery stores in Sofia, Plovdiv, Varna and Burgas you can find the special 4Pack, which grants 4 tickets at the price of 3 and single ticket in a Can as well. The sales will be active from 6th to 31st of March or while stock lasts. Starting from tomorrow EXPECT TICKET for a MOVIE – at shopping centers, gift shops, bookstores, bars and many other locations EVERYWHERE around You! Sofia Film Fest maintains democratic ticket price policy since its foundation. The basic ticket price has been 8 BGN levs for 7 years now. There is a discount for students, pensioners and disadvantaged people. The ticket price for National Palace of Culture – Hall 1 is 9 BGN levs. Additional discounts apply for wholesales at certain movie theatres. The special cards СФФП (Sofia Film Fest for Pensioners) and ISIC cards with a special sticker - СФФУ (Sofia Film Fest for Students) give more movie-going opportunities for the respective category of viewers. Full information about the ticket price policy of SFF can be found in the printed program booklets and on the web site www.siff.bg.